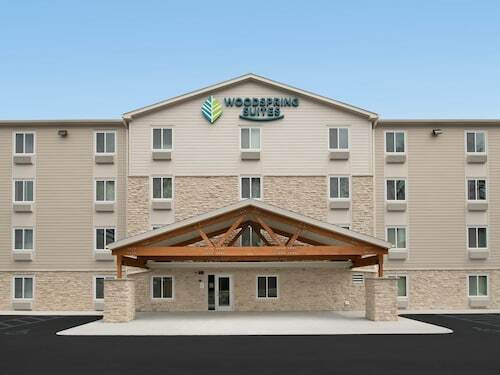 Situated in the entertainment district, this hotel is within 9 mi (15 km) of Murphy-Hanrahan Park Reserve, Minnesota Zoo, and Twin Cities Premium Outlets. Bloomington Ice Gardens and Crystal Lake Golf Club are also within 9 mi (15 km). 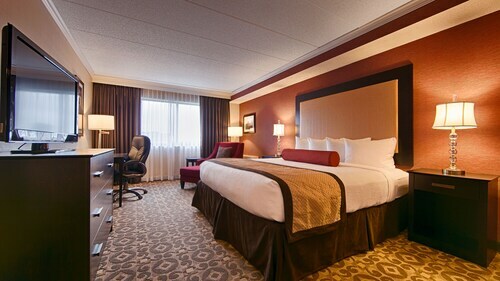 Situated in Burnsville, this hotel is within 6 mi (10 km) of Murphy-Hanrahan Park Reserve, Twin Cities Premium Outlets, and Bloomington Ice Gardens. Minnesota Zoo and Crystal Lake Golf Club are also within 9 mi (15 km). Situated in Burnsville, this hotel is within 6 mi (10 km) of Crystal Lake Golf Club, Minnesota Zoo, and Murphy-Hanrahan Park Reserve. Twin Cities Premium Outlets and Bloomington Ice Gardens are also within 9 mi (15 km). 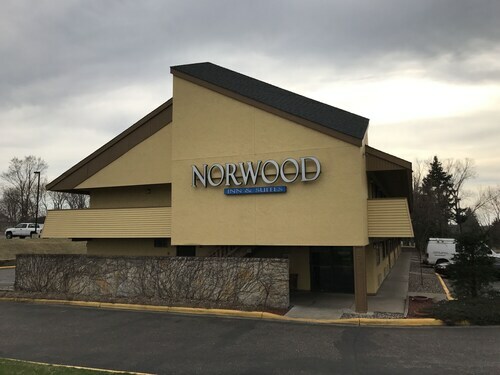 Situated in Burnsville, this motel is within 6 mi (10 km) of Murphy-Hanrahan Park Reserve, Twin Cities Premium Outlets, and Bloomington Ice Gardens. Minnesota Zoo and Crystal Lake Golf Club are also within 9 mi (15 km). How Much is a Hotel Room in Burnsville? Hotels in Burnsville start at $59 per night. Prices and availability subject to change. Additional terms may apply. Modern travelers can come across a range of apartment and hotel alternatives to select between in Burnsville. Our database is where you can find 21 hotel options within a 6-mile (10-kilometer) radius of Burnsville's town center. 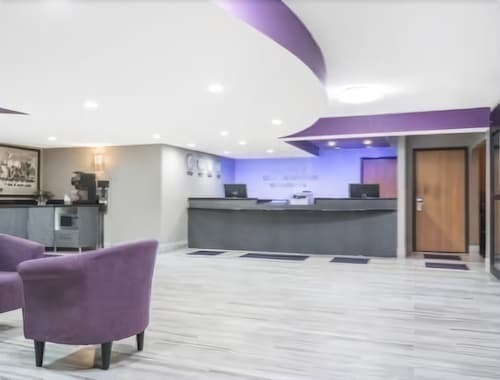 Burnsville's city heart is within roaming distance of conveniently located hotels such as Best Western Premier Nicollet Inn and Fairfield Inn & Suites by Marriott Minneapolis Burnsville. 0.5 miles (0.8 kilometers) from the center of Burnsville is the LivINN Hotel Minneapolis South / Burnsville. This is a great option for those who are watching their pennies. You might also like to look at the Prime Rate Inn. 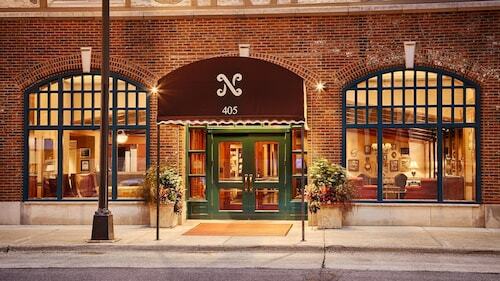 Investigate the Hotel Ivy, a Luxury Collection Hotel, Minneapolis or the Residence Inn By Marriott Minneapolis Downtown. The Hotel Ivy, a Luxury Collection Hotel, Minneapolis is located just 14 miles (23 kilometers) away from central Burnsville. 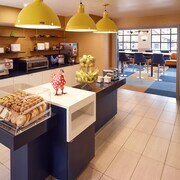 The Residence Inn By Marriott Minneapolis Downtown, is situated just 15 miles (24 kilometers) away. Another possibility is to take a room at the The Saint Paul Hotel or the Loews Minneapolis Hotel. 15 miles (24 kilometers) from Burnsville, you will reach St. Paul, which is where you'll find University of St. Thomas and Hamline University. The Holiday Inn St. Paul Downtown and Embassy Suites - St. Paul are just some examples of the comfortable hotel options in St. Paul. Or, stay the night in Hastings, 20 miles (34 kilometers) to the east of Burnsville, where you can choose from the Nichols Inn of Hastings and Val U Stay Inn and Suites. The Alexis Bailly Vineyard and Carpenter St. Croix Valley Nature Center are some of the most frequented points of interest to visit when you're in Hastings. When enjoying sport if on your list of things to do, make the time to visit Xcel Energy Center, situated 15 miles (25 kilometers) to the northeast of Burnsville. Wise visitors that need to find a room near the stadium can compare between the InterContinental Saint Paul Riverfront or the DoubleTree by Hilton Hotel St. Paul Downtown. 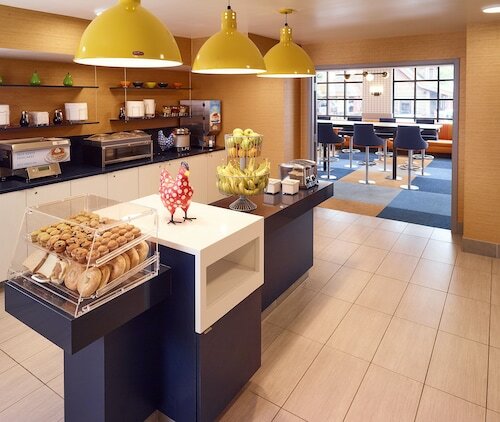 For the modern traveler traveling through Minneapolis - St. Paul International Airport, you might plan to book some accommodation at Radisson Blu Mall of America, or Embassy Suites by Hilton Minneapolis Airport, both of which are nearby. Like the water cooler. Very clean. Good food. Stiff towels (my only complaint). Easy parking with affordable rate. Easy access to downtown. Approachable, friendly staff. The gentleman that checked us in specifically asked us whether we would like a lower or upper floor (which a lot of people wouldn't have thought to ask) and he asked us if we needed handicap access (which even though it's not readily apparent by looking at him, my husband appreciated having due to a fused spine making climbing in and out of a tub difficult). This gentleman was obviously trying to accommodate us any way he could. Thanks! The lot wasn’t scooped out after the snow and it was very sloppy. No pop machines on each floor and the one in the lobby wasn’t functioning. Only one pillow per person.